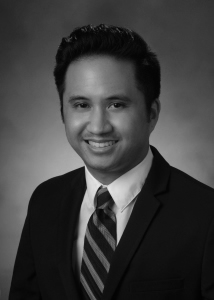 Art Sriratana joined Potestivo & Associates, P.C. in 2014 as an Associate Attorney. Art serves the Foreclosure Department at the firm’s Chicago office. Art received his B.A. in English Literature from the University of Illinois-Urbana Champaign in 2004. Thereafter, he attended Northern Illinois University College of Law, where he was an active member of the Public Interest Law Society and the Asian American Law Student Association. Art graduated from law school in 2008 with Dean’s List Honors. While attending law school, Art worked as a Law Clerk at a firm that served the Chicago education community. Following law school, he went on to work as a Prosecutor and Law Clerk for a division of the City of Chicago. Art also served as a Lead Staff Attorney and Supervisor at a law firm that specialized in representing claimants in administrative appeals. Art’s professional achievements include passing the Illinois State Bar and assisting hundreds of Illinois residents obtain unemployment insurance benefits. Art has also volunteered for the Northern Suburban Special Recreation Association, where he worked with the mentally and physically disabled. Art is interested in continuing to grow as a knowledgeable attorney by learning the diverse areas of practice at Potestivo & Associates, P.C.